If you have said something clearly on the record, don’t try to claim otherwise. 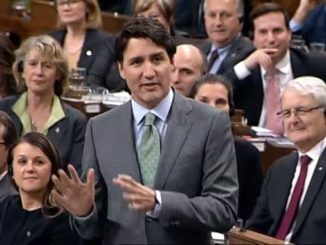 When he was in Vancouver recently, Justin Trudeau was asked if his carbon tax would push gas prices higher. With prices already at $1.60 a litre and higher, this is a real worry. 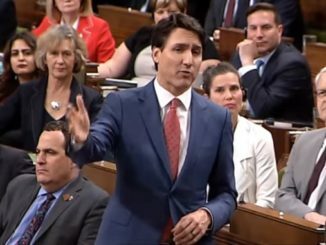 Trudeau’s answer was a definitive yes without ever saying yes. “The incentives that come from better behaviour, better choices, making choices to be cleaner and greener is exactly what we want. When you put a price on what you don’t want, which is pollution, you encourage people to make better choices,” Trudeau said. In fairness, he only said 90% of “better behaviour” before changing course but he clearly said it, as clearly as he said “umm” and “ahh” throughout his statement. Asked about this in the House of Commons though, Trudeau denied it on Wednesday. 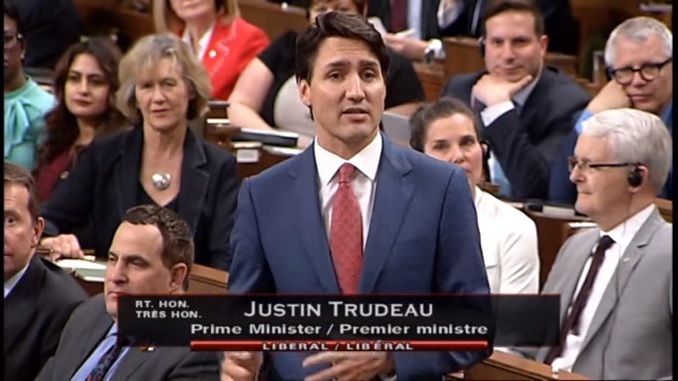 Here is the problem, Trudeau’s comments are not only transcribed, they are clearly recorded for all to see, like in the video below. Trudeau may think that you need to be forced to make “better choices” that you need to change your ways and engage in “better behaviour” but his only way to do this is to force up the price, something that will hurt you but not him. The PM doesn’t pay for his own gas, not for his own car and not for the fleet of security vehicles that follow him around. And even if Trudeau were paying for his own gas, it likely wouldn’t bother him. The Trudeau family hasn’t had to work in any serious way since his grandfather made the family fortune in the oil and gas business, running a chain of gas stations in Montreal. His budget won’t be dented by his higher prices, yours will, mine will. So let’s take him up on his advice, next election, let’s make better choices. It is Canada’s “Law Enforcement” and its “Legal” system which enable this treason. Just as their putrid counterparts do South of the Border. The stench is overwhelming.